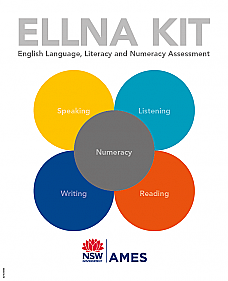 This edition of the moderation kit combines and updates the learning outcomes from the 2010 and 2011 editions to ensure this resource is aligned to the 2013 CSWE curriculum. 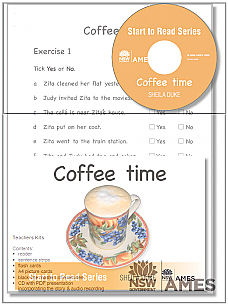 Listening, reading and writing tasks, from absolute-beginner through to advanced levels, have been updated and new tasks have been included to reflect contemporary texts such as webpages. 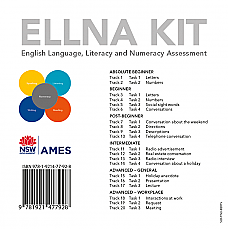 ELLNA CD only - for ELLNA Kit. 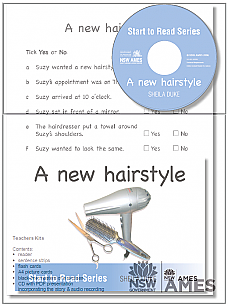 Listening, reading and writing tasks, from absolute-beginner through to advanced levels, have been updated and new tasks have been included to reflect contemporary texts such as webpages. Starting to read series. Coffee time is a simple recount about friends meeting for coffee. Starting to read series. Moving house is a simple recount about Nick and Maria moving into a new house. Starting to read series. 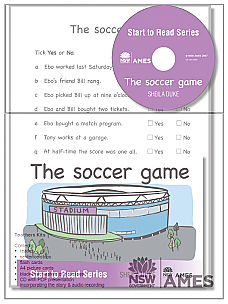 The soccer game is a simple recount about Ebo and Bill who go to watch their team, United, play a match.